What do I do if I didn't receive an item I ordered? 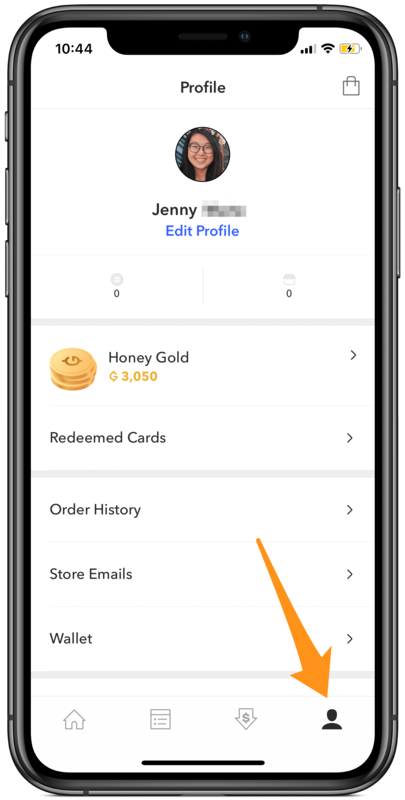 All orders placed through the Honey Smart Shopping Assistant are still being processed directly with the merchant, so if you encounter an issue receiving your order you will need to contact the merchant’s customer support team directly. 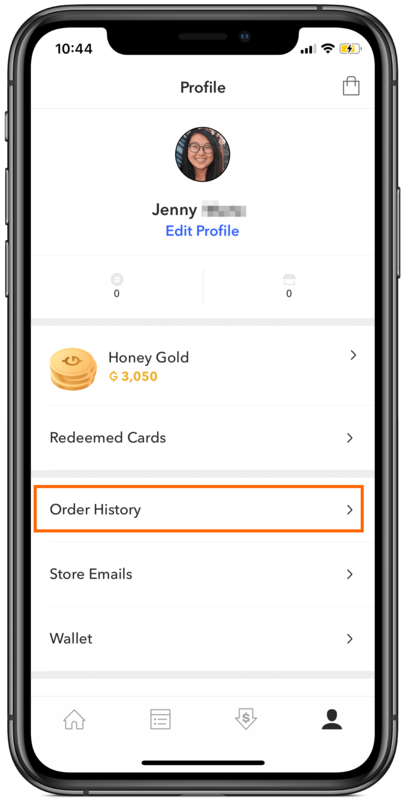 2) Tap on Order History. 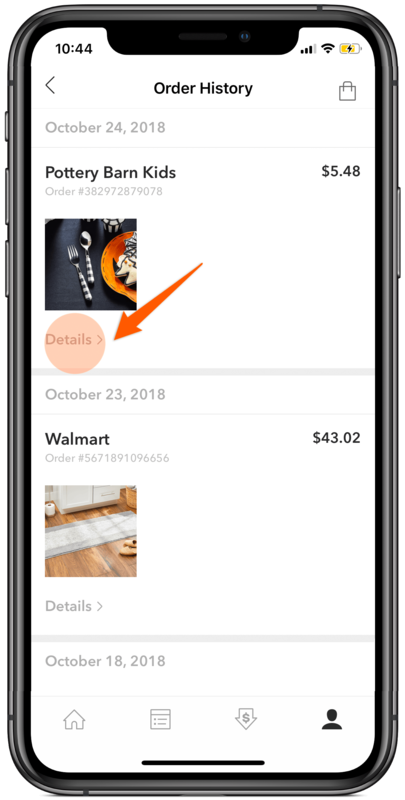 3) Tap Details on the item you have not received. 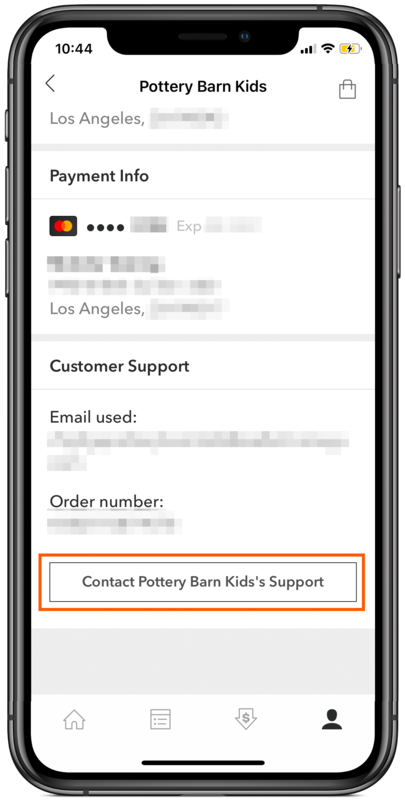 4) Tap on Contact (Store Name)'s Support. 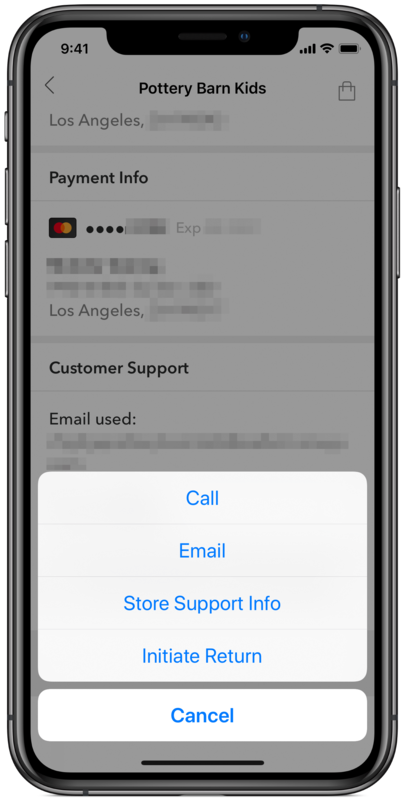 4) Choose the contact option to initiate communication with the merchant.